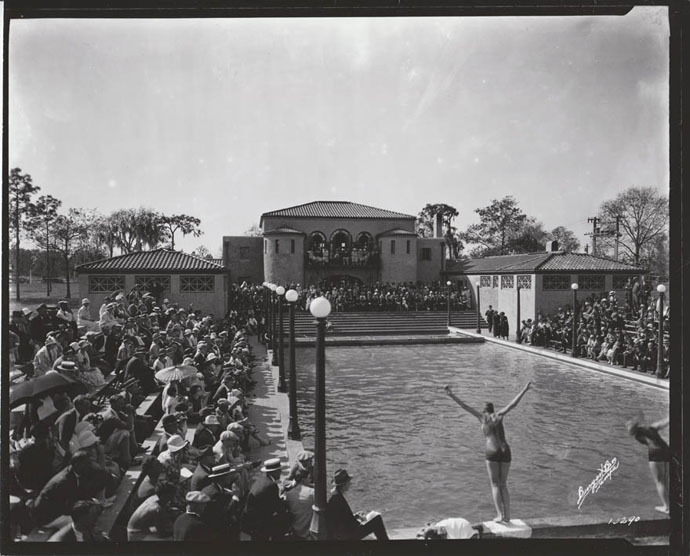 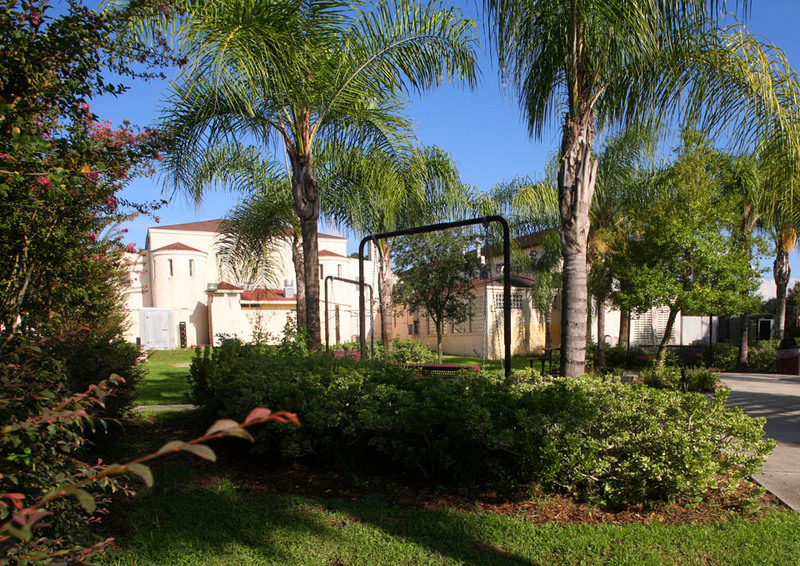 The Morocco Pool, designed by M. Leo Elliott and now part of Florida College was, at least according to Wikipedia, “the hottest nightclub on the west coast of Florida in the 1920s”. 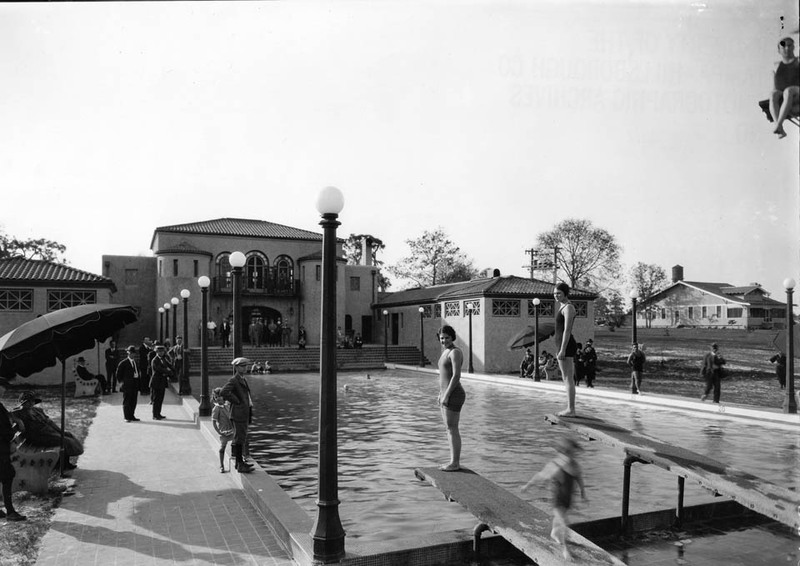 Unfortunately, the pool has since been filled in to make room for shrubbery and benches. 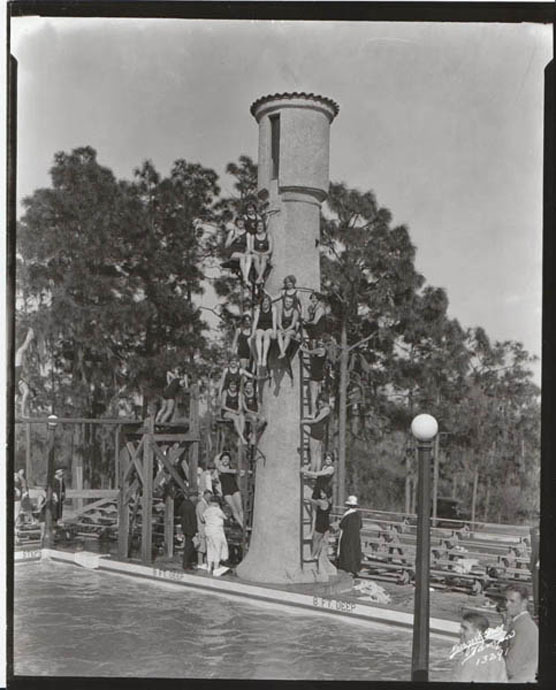 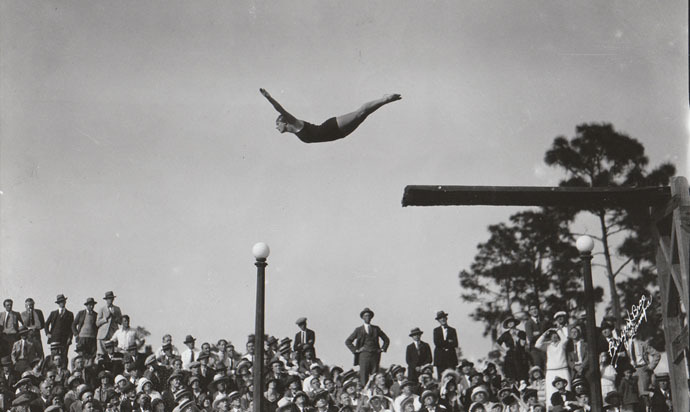 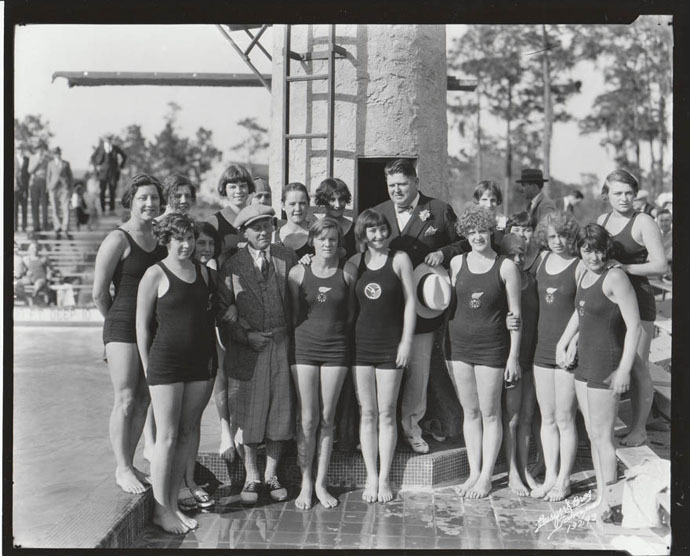 Notice the person sitting on top of the diving board in the upper right corner of the historic photo. 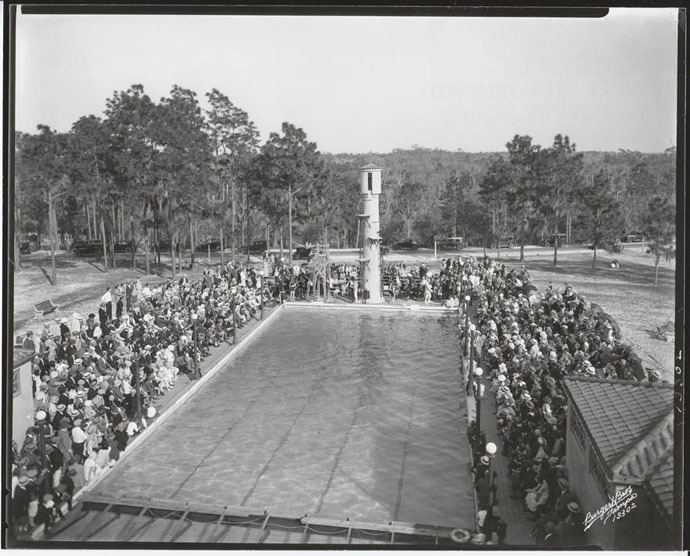 Below are some other photos of the pool.